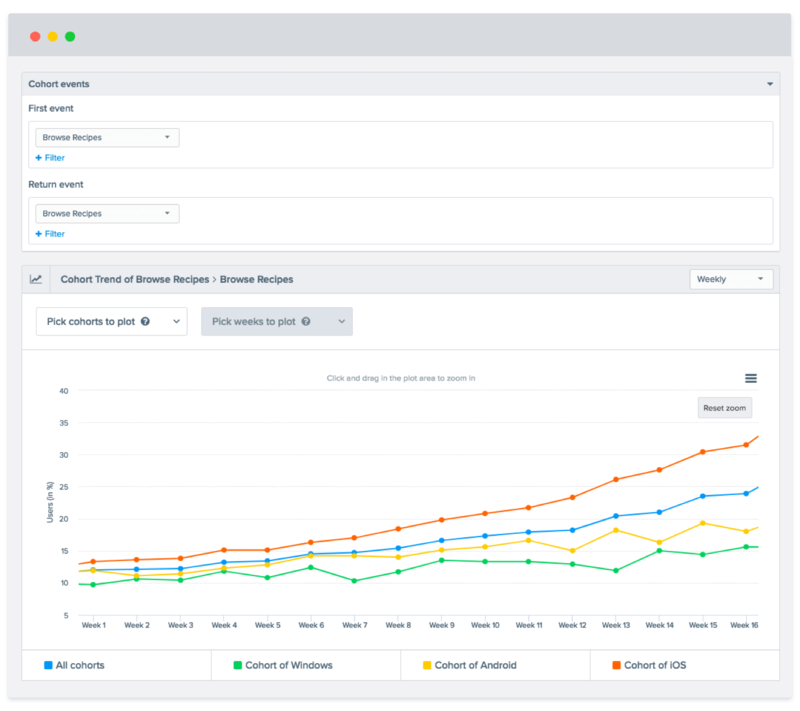 Use cohort analysis to easily compare how different user groups behave over time in onboarding, registration, purchasing, and uninstalling. Don’t let the activity of new users mask the lack of engagement from dormant users. 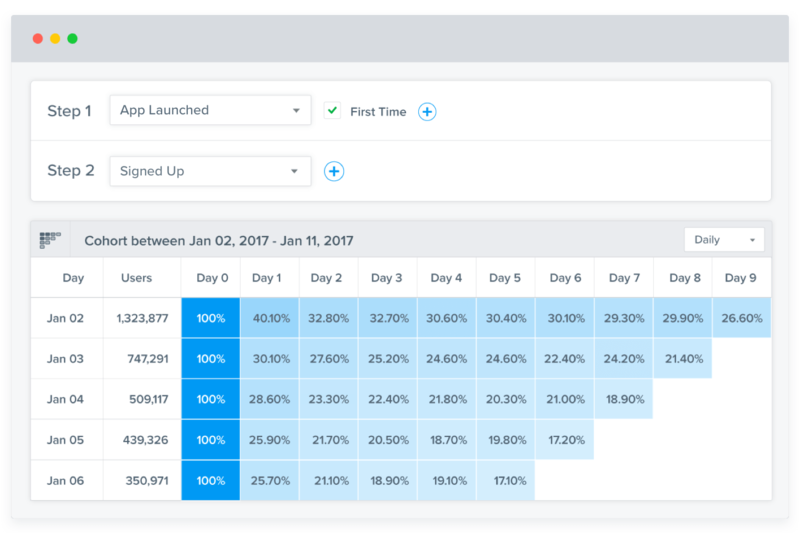 Cohort analysis helps you understand and group users who have demonstrated a certain behavior in your app, then track their actions on a daily, weekly, or monthly basis. Measure user retention, engagement, or business metrics such as time to purchase or how a cohort reacts to a new feature release. Determine the sticky quotient of a feature and how often users actually use it. Allocate resources to build complementary features or enhance existing features. Measure how long it takes for first-time purchasers to make their next purchase. Retention is often determined by how successfully your app encourages repeat behavior. Keep users coming back for more. Identify specific patterns in user behavior to measure the success of your retention strategies on different groups of users. Analyze your users by product category, acquisition source, geography, or customer type, and understand the differences in cohort behavior. CleverTap’s cohort analysis helps you identify how long it takes before different user cohorts drop-off. With user retention cohorts, you can improve onboarding experience of users to ensure that they reach the core value of your app as quickly as possible. At CleverTap, we maintain ongoing conversations with our customers to discuss how we can better help them solve their mobile growth challenges.